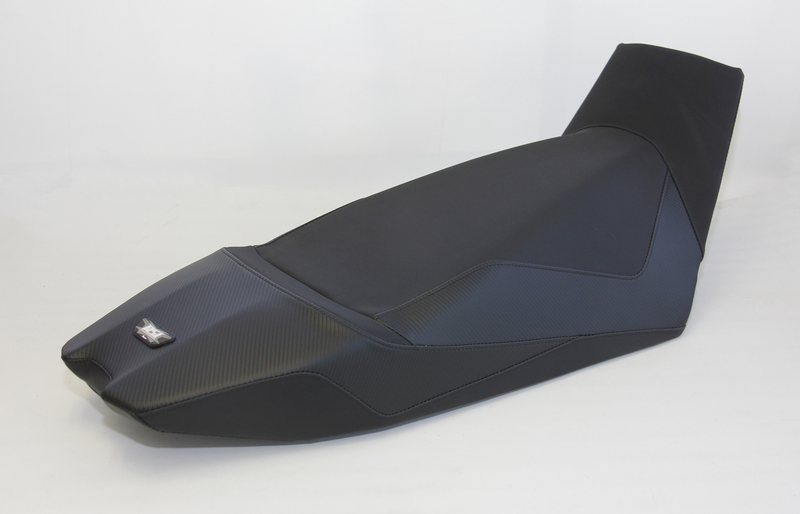 Hi performance gripper seat cover enhances traction when wet or icy. Durable industrial seaming construction out performs stock. Direct replacement for stock seat cover. All Black with Carbon look accents resists fading.